Choosing the best vape mod of 2016 is a bit of a tough one. In fact, there were so many great products released throughout the year that this question deserves weighing out various factors, examining the slew of features, dissecting performance offerings, and concluding with the most cost effective mod. Though this question may deliver a different answer from person-to-person, there’s no denying facts. In other words, though you may be drawn to a particular look, it comes down to what the mod actually offers and how much cash you’ll have to shell out to own it. The issue here is that there are many studies and none of them share what the best vape mod is. In this article, we do. Now, if we were making a list of the most popular mod, it would yeild the same results, because vapers simply prefer device’s that offer the best performance without it costing them an arm and a leg. 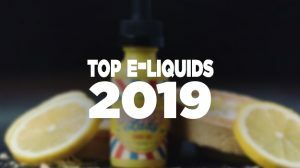 Let us use a few minutes of your time to share what we think the best vape is, why we think it is the best, as well as listing its strong points. The Sigelei Fuchai 213, Smok X Cube Ultra, Pioneer4You iPV6X, Joyetech eVic AIO and others were all stellar devices, but none of them can compare to the offering from Wismec’s Reuleaux RX2/3. 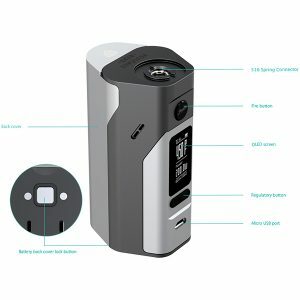 The Reuleaux RX2/3 by Wismec is the ultimate package, it’s one of the best selling devices currently on the market, and it offers the latest features, technology, and design all for an amazingly low price. To be the best, you have to perform like the best, and many users knew this is what the RX2/3 would offer long before it was created. 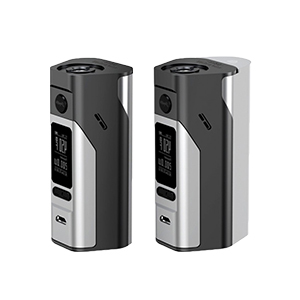 Its predecessors, the RX200 and RX200S were two fantastic offerings within the Wismec line-up, and they paved the way for the highly innovative Reuleaux RX2/3. We all know it’s safer to vape, so why not choose the best mod that is available? In our opinion, there’s just simply no beating the RX2/3; let us go over its features and tell you why. Modular Design: It’s a very versatile device and has a modular design, meaning it uses multiple parts to make up its shape, size, and appearance. The RX2/3 uses two optional back covers that will allow you to use two or three batteries. This design is incredible, as it caters to multiple users preferences in giving the ability to go with a smaller size, yet getting less battery life and its chipset automatically scaling back to 150 watts. On the other hand, it allows the user to utilize the three battery standard configuration that the Reuleaux name is known for in giving the more battery life and the chipset automatically increasing the wattage to its maximum of 200 watts. Battery Life: Being that it allows for a two or three battery configuration, you can choose the battery life that best fits you. If you want less battery life, but a more pocket-friendly design you could go with the two battery configuration. However, if you want more battery life, more power and don’t mind a larger size mod, you can use the optional 3 battery configuration. Power: Of course, there are plenty of vaping mods on the market that offer an abundant amount of power, most of the high wattage mods being in the 200-watt range. 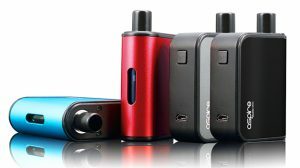 However, the RX2/3 is very versatile in that it offers up to 150 watts of power in its two battery configuration and a whopping 200 watts of vaping power in its three battery configuration. Advanced Chipset: This is the best vapor mod because the RX2/3 Chipset is quite the beast, as it not only offers plenty of features, but it also has an Auto Switching Power Output feature that automatically knows when you’re using 2 or 3 batteries. In addition, this chipset is firmware upgradable and delivers one of the most consistent vaping experiences money can buy. Temperature Control: Delivering in features and advanced functionality is what this device is good at, and its temperature control feature proves just that. Its temp control feature supports Ni200 Nickel, Titanium, Stainless Steel, and has a TCR mode with 3 memory modes. While using TC, you can range from 200 to 600 degrees and fire atomizers as low as 0.05Ω. Appearance: The Reuleaux RX2/3 vape not only performs great, but it looks great too. In fact, it presents a unique shape with either of back cover options, and its color combination only adds to its beauty. One feature that enhances the appearance of this vape device and its user-friendliness is its 0.96 inch OLED display screen that boasts a vertical stack display, as well as being custom logo compatible. Price: Typically, a device that offers this many features will cost you nearly an arm and a leg, but fortunately Wismec utilizes a business model that allows them to keep the cost very little. 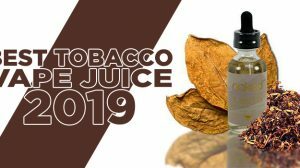 In other words, there aren’t making the price low to reflect quality, they’re making it low to gain more customers — and this is the very reason why they’re becoming one of the most popular brands in the vaping market. Continuing, you’re still wondering what the price is… well, you can get the Reuleaux RX2/3 for as low as $54.95, with free shipping, a 15-day return policy, and a 60-day warranty. Why Is The RX2/3 The Best Vape Mod? Narrowing down to the top vape mod or the most popular vaping mod will deliver the same results. The RX2/3 is the best vaper’s mod because you’re getting an incredible package all piled into one. 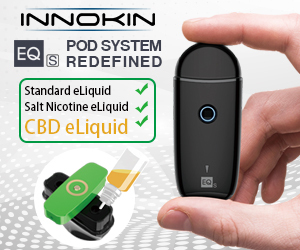 It has a modular design, plenty of battery life in whichever back cover you decide to use, it has plenty of power in both instances, it has a state of the art chipset with advanced performance capabilities, temp control modes that saves battery life, reduces e-liquid consumption, and eliminates dry hits, the appearance looks stunning with options for customizing the front and back plates to new colors, and of course the RX2/3 is priced exceptionally well. Truthfully, there isn’t another vaporizer mod on the market that offers the same modular design and the same performance with such a low price to the consumer. If you already own or plan to own the Reuleaux RX2/3 mod in the future, we encourage you to check out our Complete Guide To The Reuleaux RX2/3. This complete guide delivers all the information you need on this device, where we share the basics of the device, its button functions, and how to use all of its features so that you know all there is to know about Wismec’s RX2/3. Older versions of the Reuleaux family have also been very popular vaping mods, and that’s because they offered similar features, performance, and appearance. Though they’re very similar to one another, there are some distinct differences that make the RX2/3 stand out above the past version, also known as the RX200S. 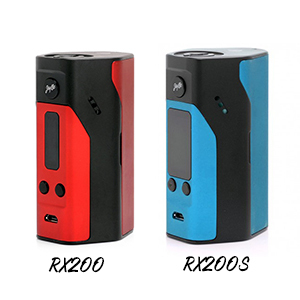 We encourage you to check out our Reuleaux RX200S VS RX2/3 – What Is The Difference? post, where we share information about the two mods so that you can easily point out the difference and choose which one is the right one for you. In this article, we share our thoughts on the best vape mod of 2016, giving you details about the product and sharing the many perks that come along with it. I like using 3 batteries. So ill just stick with my rx200s. It fires like a beast and now it even has preheat mode. 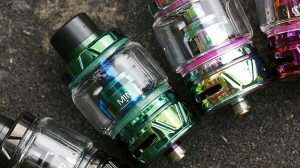 Great wismec….. The RX2/3 has the ability to use 3 batteries as well, so it’s cool to have that option just in case. And yea, the RX2/3, 200, and 200S all received the same new features, such as the pre heat function and 250w. If they fixed that crappy 510 connector it might be the best mod. Agreed. I’ve had both the Reuleaux DNA200 and the RX2/3. Loved both until the 510 pin stopped making a proper connection. I just can’t decide to spend the extra money on the latest iteration or go with the rx200 for a bargain. When I read this article I want the 2/3 but when I see the price difference I can’t find myself jumping for the newer model. I currently vape an aspire nx75 and own two batteries and an external charging bay. So for the new mod choice of the Rx id be buying more batteries as well a new bay that can charge the extra 18650’s required. If the price is holding you back, and you don’t think you’ll use the 2-battery configuration that much, just go with an RX200S, or even cheaper getting the RX200. In my opinion, the RX200S was a much better mod than the RX200, of course due to the larger and better looking screen. Thanks for reading!